Can Organic Farming Become Sustainable on a Global Level? Is organic farming all that promises to be? Could we work together for a better future in which this form of agriculture becomes sustainable worldwide? These are some of the questions environmental scientists are trying to figure out, and the answer is not easy. At the moment, organic agriculture accounts only for 1 percent of global agricultural land, making it one of the most untapped resources. However, some believe it can help us in the greatest challenge that will soon face humanity: How to produce enough food for 10 billion people by 2050, without further damage to the wider environment and extensive deforestation. Often praised and equally often misunderstood – that’s the status of organic farming in the public view at the moment. It refers to agricultural production systems that prohibit the use of genetically modified (GM) seed, fertilizers, or synthetic pesticides. Organic farmers hope to preserve the environment by using biological methods and management practices. Employing diversified crop rotations is one of them, as well as soil and water quality preservation. By increasing soil organic matter, organic agriculture also enhances the soil’s capacity of absorbing and storing carbon, and cycle nutrients. Soil organic matter is more resilient under natural stresses, including drought and flooding. In spite of the many benefits of organic farming, naysayers see only the faults. Even though organic farming systems produce yields average 10-20 percent less than conventional agriculture, they are far more eco-friendly and profitable. Historically, conventional agriculture has focused on higher yields at the expense of the other sustainability metrics. Meanwhile, organic agriculture provides equally – or more – nutritious food that contains less or no pesticide residues. This result comes with greater social benefits than their conventional counterparts. One of the highest benefits of organic farms is that their production practices are more mindful to the environment. Water management practices, habitat maintenance, no-till or minimum tillage, and biological pest control – they make sure we can use the land without depleting it of its resources. On the other hand, conventional farming is known for using minimal crop rotations and growing the same kind of crop for years on the same lot of land. Mono cropping, as it is called, strips the land of nutrients and minerals. It goes without saying that the next years’ crops will require some artificial boost to keep growing. Once the soil is depleted, conventional GM farming requires the nutrients and minerals be added back artificially, most often in the form of hydrocarbon-based fertilizers. 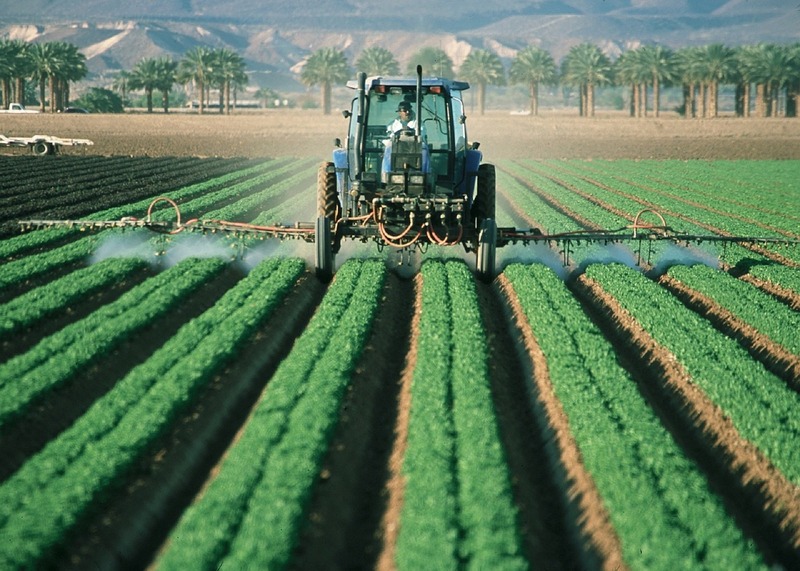 Monocultures are vulnerable to infestations of insects, weeds and diseases. The lack of biodiversity further requires the use of synthetic pesticides and herbicides, which contributes to destroying the soil biology. The first years of the transition period from a GM farmed field to an organic field are the hardest. According to current organic standards, organic lands must be managed using organic practices for three years before the first certified organic crop can be harvested. 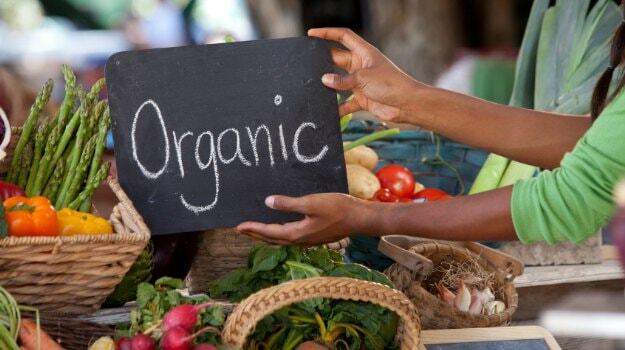 Therefore, farmers often choose to gradually convert to organic production. They turn to crops with low production costs during the transition period to better weather the risks. Have you ever wondered why is the price of organic, healthy food higher than that of conventional food? According to organic farmers, the organic price tag is a more realistic reflection of the true cost of growing food. At the same time, organic prices reflect the substitution of intensive management of chemicals with labor. These costs may often include remediation of pesticide contamination and regular cleanup of polluted water. In spite of the lower yields, organic agriculture is more profitable (by 22–35 percent) than conventional farming. It is simply because consumers are willing to pay more for organic food. These higher prices essentially help farmers preserve the quality of their land. For more questions on organic farming, check out this useful FAQ list and the statistics it offers. Many environmental changes are long term, occurring gradually over time. Organic agriculture is more sustainable because it considers the medium- and long-term effect of agricultural practices on the agro-ecosystem. It also aims to produce food without disturbing the ecological balance; this way, organic farming can prevent soil fertility and pest problems. Unlike conventional agriculture, organic farming tries to take a proactive approach to the environment, as opposed to treating problems after they occur. Given the environmental degradation, climate change and the increasing population growth, we need to rely on better agricultural systems that provide a more balanced portfolio of sustainability benefits. In this context, organic farming is one of our healthiest options in agriculture. With enough involvement and effort, the sector will continue to grow help feeding the world. But what happens when organic farms have trouble abiding to the strict ecological standards? Keeping up with conventional farming in terms of food production is tough and it often requires some cost-cutting measures. A lot of the required organic practices – such as no-till agriculture and crop rotations – are costly. One of the ways to lower costs is to truck in manure from feed lots. This, however, causes more carbon emissions, while also bringing hormones and other food safety issues into the equation. Consequently, the resulting item might not be as organic as promised. Add to that the difficulty of keeping GMO-tainted seeds and food out of organic fields, and you have on your hands a lot of organic food items that are just “mostly” organic. In order for true organic farming to prosper on a global scale, the entire industry needs a large-scale paradigm shift. Fortunately, small pockets around the world are already going through the changes, but a lot of hitches need to be worked out of all organics.